At Cosgroves, we value honesty, integrity and professionalism. Due to our independence, unrivalled local knowledge and commitment to our business ethics, we provide all of our clients a bespoke tailored service which is most suited to them. This service is enriched by our insight into all three areas of the property trade; sales, lettings and block management. Interweaving these three aspects gives our team an edge when it comes to keeping up to date with the ever changing environment of property within Southsea and the surrounding areas. 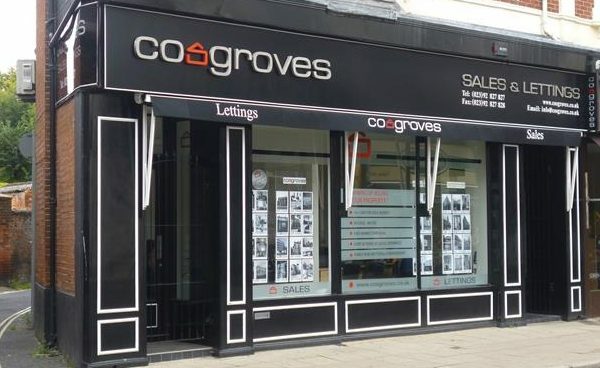 Despite our ever-growing size, the team at Cosgroves remain grounded and approachable, providing no-nonsense, pragmatic advice which we have fine-tuned over our 30 years in the property field. Our truthful and down to earth approach stems from our background as a family run business, so no matter what the problem, we will put time aside to have a chat with you or answer any questions that you may have. We provide the same high level of respect in all departments and have dedicated staff who are experienced in their sector of the property field, creating a fully qualified team who will work together to make sure everything runs smoothly. We provide a designated works team, which allows you to rest easy knowing that your home is in good hands. Our 24 hour emergency line provides assistance, be that in helping you get into your home if you have lost your keys, or in sending an emergency contractor out to you as soon as possible if there is a leak in your building. Whilst this service is of great importance for those unpredictable moments, our works managers also carry out routine inspections of our blocks and lettings properties under a managed contract. This provides an opportunity for problems to be solved before they are in need of emergency help. Our routine visits also provide a great opportunity to keep in touch with landlords, tenants and residents of our blocks, allowing us time to check that they are satisfied, as well as ensuring the building is up to our top quality standard. The Sales department has a wide range of contacts from solicitors and surveyors, to mortgage providers. We have a great understanding of the wide range of differing properties found throughout Portsmouth and the surrounding areas. We strive to give accurate valuations of properties leading to a quick sale, as opposed to unrealistic prices in order to gain your business which can leave your property without a buyer for considerable time. Selling your property is our top priority; not commissions, numbers on the books or properties in the window. Our sales and lettings teams work together in order to provide one another with vital information of the other’s market. This kind of teamwork allows us to provide the most up to date information on rental and sale valuations, as well as providing market information on the types of properties available for investments such as buy-to-let’s. Vendors with properties located in blocks that Cosgroves manage will benefit from discounted rate. The lettings department, as with all our departments, ensures that there is a high quality of customer service, be that in dealing with Landlords or Tenants. We pride ourselves on clarity, making sure that there will be no shocks caused by hidden costs throughout the whole process. Finding the correct property for tenants is a necessity, providing an individual service depending on your situation; be that a short term summer let, a student property or a long term professional rental. This practice ensures that the tenants and landlords can have a peaceful process with both parties caring about the property, which is a most certain path to a successful, problem free tenancy for everyone involved. Our scheme provides compensation to landlords, tenants and other clients should an agent misappropriate their rent, deposit or other client funds. In the event that the owners of the business steal or misappropriate any of this money there is a route of redress against the letting agent by contacting the Scheme and claiming against the Scheme. If a genuine claim is accepted by the Scheme, the Scheme will recompense the landlord or tenant and seek recovery from the letting agent or its owners. A Client Money Protection scheme does not act on behalf of the letting agent. It is an independent membership body that provides the protection of client money whilst held by its members and the Scheme insures its liability for the payment of any claims. For more information about the specific area of the business that you are interested in, please explore the rest of our website or get in contact with us as we would be happy to help.